French smart card supplier ASK will be supplying several million e-passports, based on the company’s Smart Paper ID solution, to Greece beginning in June. The company’s e-passport technology will be used by Toppan, which specializes in printing and personalization of secured documents. San Francisco, CTST–ASK announced that its e-passport technology has been selected by Toppan, the current provider of the personalization solution to the Greek Authorities. Toppan is a worldwide leader in printing and personalization of secured documents. This agreement involves several million passports that will be delivered starting June 2006. “In addition to the GPO selection for the first phase of the US electronic passport, Toppan’s decision to select ASK technology, demonstrates the outstanding performance and innovation of our Smart Paper ID technology,” states Amand Cochet, Corporate vice president, sales. ASK technology of silver ink printed antenna and direct chip embedding has been validated over several years in other applications including mass transit and RFID. Its Smart Paper ID solution adapted for the e-passport is currently under qualification in many other projects around the world. Founded in 1997, ASK is the leading supplier of contactless technology and manufactures a large range of cards, tickets and readers for the public transportation and access control markets. Over 52 million contactless ASK products are in service in the world. Products are designed specifically to meet the needs of banks and RFID for tracking and logistics. 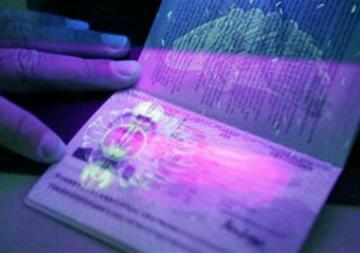 The SPID solution developed for the electronic ID documents market complies with ICAO standards. Headquarters manufacturing centre is based in Sophia-Antipolis, France with regional offices in Paris and Singapore. ASK Contactless Technologies, Inc. is based in California, USA.